You’re going to want to click on the following images to enjoy the full-size beauty of these images unearthed at the Smithsonian Institution recently. The museum was in the process of creating a 3D model of the Apollo 11 command capsule, the spacecraft that took the first astronauts to the moon, when curators found details in an unexpected way: graffiti and notes scribbled on the walls and panels of the spacecraft. It’s releasing the first of the images, accompanied by fascinating accounts of what they tell us. One important detail that has puzzled experts is how much work Michael Collins, orbiting the Moon alone in Columbia, put into locating the Lunar Module (LM) Eagle on the surface below with the Command Module’s telescope. Mike Collins used this map to mark, unsuccessfully it turned out, the Eagle’s location on the Moon. On the map, we can see the estimated LM locations given to him by Houston. These are indicated with combinations of lines, arrows, circles, and one ellipse. Now we have some new information. Just to the left of the navigation station, at which Michael Collins would have stood to access the Command Module’s sextant and telescope, is a relatively clear surface. The surface has several sets of numbers. 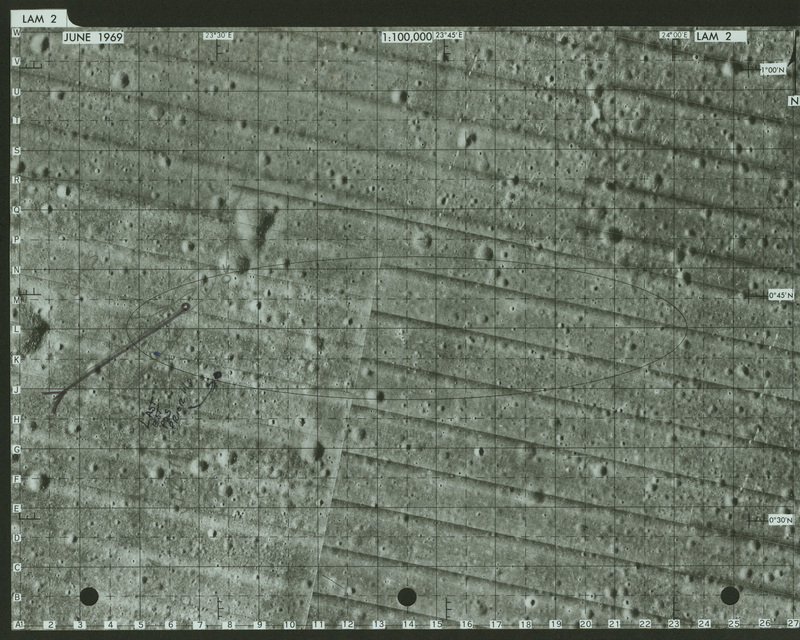 A careful review of the audio ground-to-space transcripts shows that all of the entries on the right side of the lower panel refer to various sets of coordinates sent from Houston, the very ones recorded by Collins on the map linked above. You can read a detailed discussion on what was previously known about this process by our friends at the Apollo Lunar Surface Journal, (Search the page for “LAM-2”to find a discussion and links to the transcripts of ground-to-space communications of attempts to help pinpoint the Eagle on the surface of the Moon). We are already working with the Journal to prepare a far more detailed account that will include what can be learned from these newly discovered entries. There are plenty of similar goodies in the post and pictures. One wonders if the astronauts considered that at some point in the future, we would be sitting on our couches with a computer on our laps many times more powerful than their entire spacecraft’s technology, reading their scribbles. We live in interesting times. So did they. Newer › Can structural racism be taught without division?